Dolby Vision: Dolby Vision transforms your mobile viewing experience with dramatic color, contrast and brightness that bring entertainment to life wherever you go. 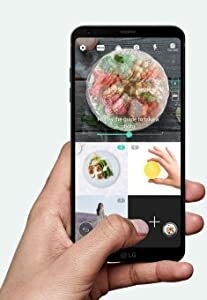 FullVision Display: The LG G6’s FullVision display puts more screen in your phone for all your browsing, viewing, and gaming needs. Quad HD+: The QHD+ resolution provides superior picture quality for a more authentic viewing experience. The LG G6 lets you capture life’s most memorable moments like never before. Enhancements in image quality and performance make taking expansive panoramas, group shots and selfies easier than ever. 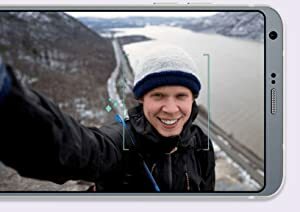 Wide Angle Front Camera The LG G6 makes taking great selfies effortless with an enhanced front camera that automatically snaps a picture when a face is in frame no buttons required. Re-create great composition with a simple overlay. 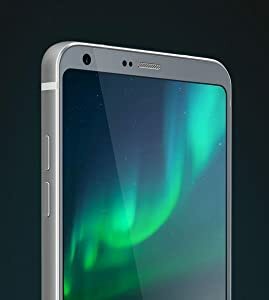 The LG G6 is optimized for efficiency, reliability, and stamina. Our internal safety standards are higher than government and carrier requirements, designed to protect your safety.